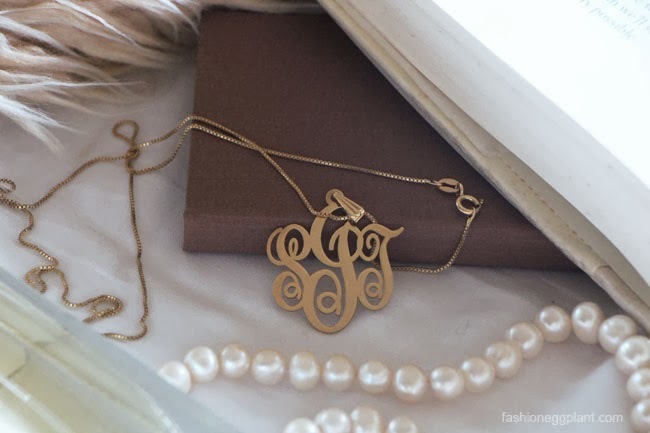 I have always wanted a monogram necklace ever since I got wind of those initial wax stamps used to seal envelopes. There's something so beautiful, timeless and old-wordly about them. It's no wonder that monograms used to be solely available to aristocracy and artists. Nowadays, you don't need to have a last name infused with blue blood to own one. They're everywhere...towels, jammies, wax seals, but my favorite would still have to be on a necklace. Since then, I have been wearing it practically everyday and I love how it blends so well with my other gold jewelry. The color matches perfectly despite being made of 24k plated gold, you can hardly tell and it looks especially lovely when layered with other thin necklaces.